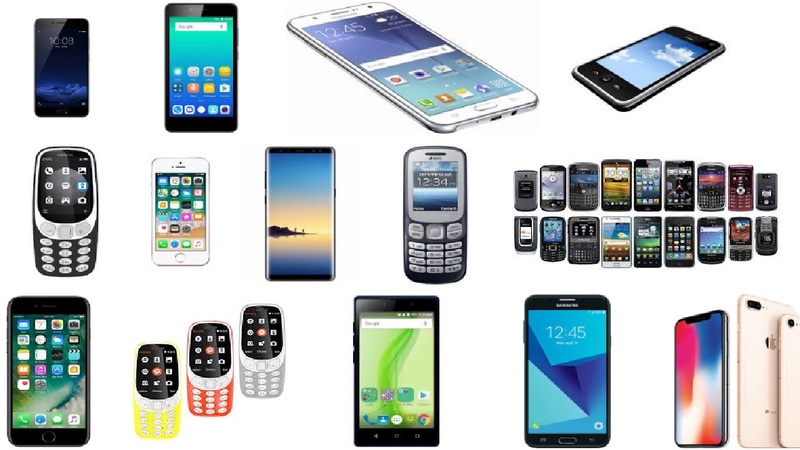 Mobile Phone Selling Shop Business is one of the best business ideas in Bangladesh It would be surprising to you that there are 147 million mobile phone subscribers in Bangladesh according to the Bangladesh Telecommunication Regulatory Corporation (BTRC). It means that there is a great market for mobile phones in the country. As a result, this is an opportunity to make money starting a mobile phone selling shop business in Bangladesh. That’s why many entrepreneurs already have recognized this growth and started their business. And some of them have opened up shops to sell mobile phones and accessories such as batteries, chargers, cables, power banks etc. Also, you can be sure to make money and grow your business with this demand, mainly driven by new users, lost or damaged phones, upgrading, and many other reasons. This is because we’re going to show you the process of starting this business on your own. Bangladesh has experienced unprecedented growth in mobile phone penetration over the past years. As it’s already stated that, there are more than 147 million mobile phone users across Bangladesh. According to data from StatCounter GlobalStats, Bangladesh is a true mobile-first nation where more than 73% of internet users came through mobile. As the country has also been seeing an extraordinary Smartphone growth, thanks to cheap Chinese handset, feature-phone dominates the overall usage, though. This is the indication of how many mobile phones are selling in the country per year. Although most of the handsets are imported from China, there are high-profile company’s sets also available. Besides, there are locally made different types of handsets at cheap prices. That’s why it’s easy to understand that Bangladesh is a great market for mobile phone selling shop business. It’s very important to keep updated on the changes in the market in mobile phone selling shop business. There are rapid changes and innovations in the mobile phone technology due to the research and development. So, keep abreast with these developments otherwise you will be left holding out of date and unpopular mobile phones which will not sell easily if you are in this business. Besides, there are wholesale shops along in Dhaka if you’re not very comfortable importing your own stock. Those who sell mobile phones also buy from these shops at wholesale prices. Well, let’s know how to start a mobile phone selling shop business in Bangladesh. You have always room as a new player despite the oversaturated market. In this case, you have to come up with something better so that you can stand out from the crowd. If you want to get a clear concept, you can check out other local businesses in this niche. Also, in order to determine what they have in common, you can look at the most successful ones. Moreover, you have to find out whether they sell mobile phones that are rare or hard to find or an excellent location or invest a lot in advertising. Besides, you can visit their website to know what else they are offering in addition to cell phones. If you do these market analyses, you’ll get an insight into customer likes and dislikes. As mobile phones are not your only option, decide what you’re going to sell. As a result, you can include selling related products and accessories, such as headsets, cables, chargers and memory cards. When you’ll provide everything your customers need in one place, you’ll be able to earn extra money. That’s why if you compare the most popular brands, you’ll determine which ones would be a good fit for your mobile phone startup. In this case, Huawei, for example, surpassed Apple for the first time in history in the last year. On the other hand, Android devices overtook Windows as the most widely used mobile operating system in the same year. So, if you assess your budget, you’ll understand how much you can afford to spend on rent, products, staff, and marketing. These all are the parts of your business plan and write down them all. It has a direct impact on your business growth rate and success where you locate your mobile phone selling shop. In this case, either you must select a central retail space or one in close proximity to other popular stores that are not direct competitors. Although they pay off in the long run, these perfect locations cost more to rent. But, you can choose one close to other businesses to ensure a constant stream of customers and greater visibility when you can’t effort the budget for a premium location. You need to create a marketing plan when your mobile phone selling shop business is up and running. If you want the least expensive ones, you can start promoting your business with a website and social media pages. Then, you can also invest in newspaper, TV and radio ads depending on your budget. However, it’s better to target the local media in the first few months. After that expand services across the country as your business grows. This is not only to bring in extra revenue but will increase your brand awareness. It’s necessary to obtain a trade license before you start a mobile phone selling shop in Bangladesh. If you want to get the trade license, you have to contact your nearest city corporation or municipality office. Also, you need the renting document and company incorporation certificate. When these all are in your hand, then you can open the door of your business venture. It’s a time to choose suppliers when you meet the legal requirements to sell mobile phones. Keep in mind that if you order more, you’ll save more. There are a lot of local and international suppliers who supply in different niches. You can consider ordering cell phones from online marketplaces like Alibaba if you have a limited budget.